The Jura ferry and a former Islay ferry, the MV Isle of Arran, waiting for their next crossings in Port Askaig. 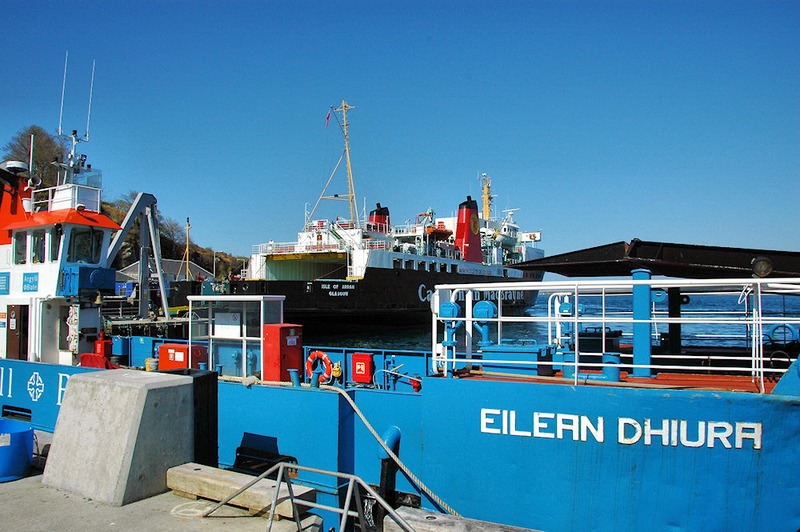 This entry was posted in Repost, Sunny Weather, Village and tagged Islay, MV Eilean Dhiura, MV Isle of Arran, Port Askaig, Sound of Islay by Armin Grewe. Bookmark the permalink.